Explore a whole new winter world! Intermediate on skis or snowboard, Age 12+. ​The goal of this clinic is to get you up and riding with confidence. We'll work on improving your kiting skills, introduce more power and teach you more about how to use the kite to power your skiing. 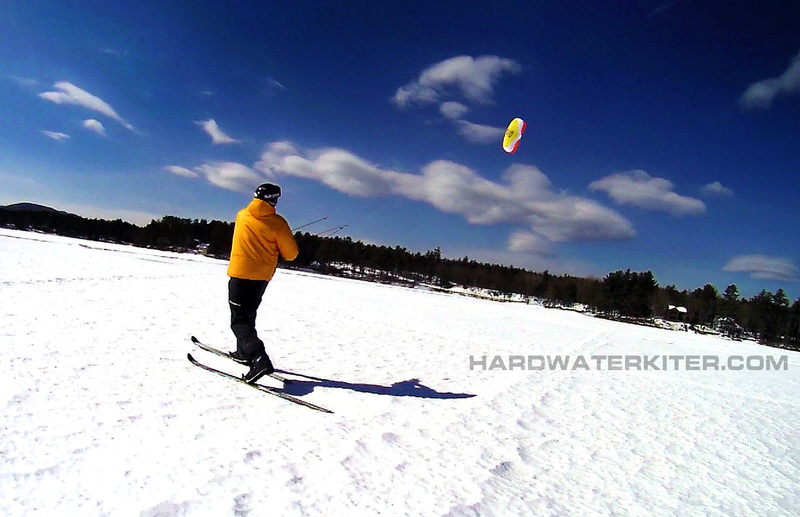 We'll discuss the various elements that come into play when flying and riding with a snow kite. All kiting equipment is provided, just bring your skis/boards, boots and helmet. *As each lesson description states YOU MUST BE AN INTERMEDIATE SKIER OR BOARDER. Ski/board instruction is not within the scope of our lessons and basic knowledge of how to edge a ski or board is critical to your lesson. Any time spent instructing ski/snowboarding is time that is taken away from your kite instruction. There are many ski schools in the Mount Washington Valley that can get you up to speed on the skiing skills required to effectively learn to snowkite.